Why is it so hard to make lasting changes in our companies, in our communities, and in our own lives? Chip and Dan Heath suggest that the primary obstacle to making lasting changes in companies is a conflict that’s built into our brains. The rational mind and the emotional mind compete for control. In Switch, the Heaths show how everyday people have united both minds and, as a result, achieved dramatic results. 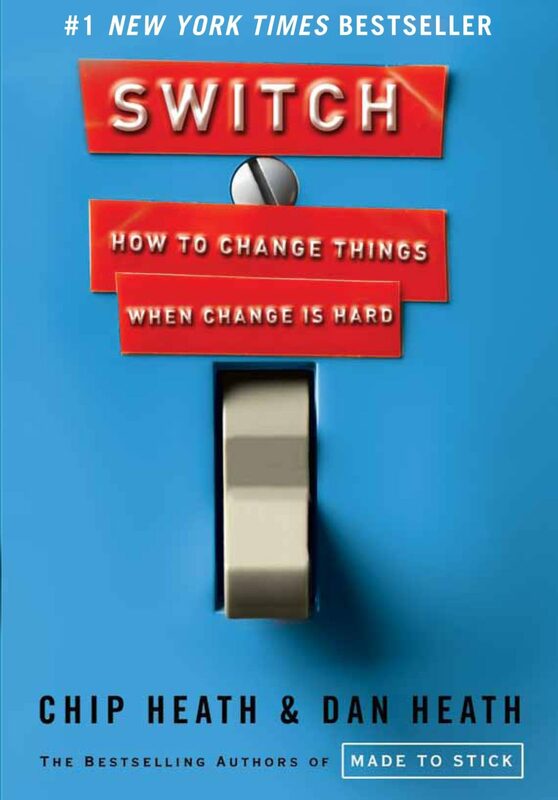 Switch shows that successful changes follow a pattern, a pattern you can use to make the changes that matter to you.